NEIGHBOURS are gearing themselves up for a “long fight” to save an Oxford pub after it was recommended for demolition. Applicant Shoqat Saddique wants to build flats on the site after demolishing the former Jack Russell pub in Salford Road, Marston, which was sold by brewery Greene King in October. 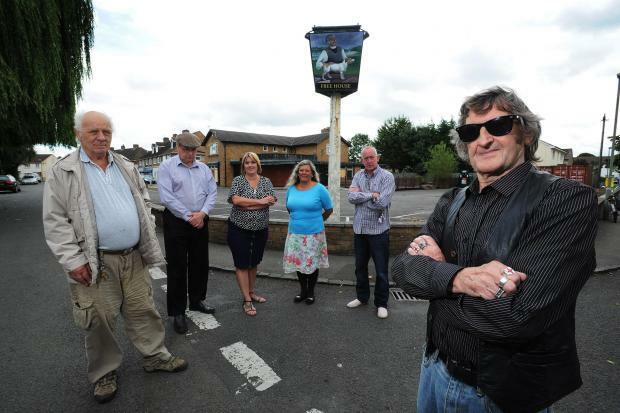 But residents belonging to the Save the Jack Russell pub campaign claim the development would be “devastating” for the community. City councillor Mick Haines, who leads the group, said: “I’m very disappointed in the decision because we had hoped for the opportunity to be able to pay to keep our pub, but it was never even an option. “This decision is a blow to Marston because they could’ve put a community centre in its place or something that would’ve given Marston a bit of vibrancy. There’s nothing particularly fun or lively here. “We’re not going to give up. We’re going to keep fighting.” • New plans unveiled for house where parents can stay close to hospitalised sick children • Mum of Connor Sparrowhawk says stronger action should have followed teenager’s death • Campaign group warn of ‘catastrophic floods’ if housing in Witney is approved • County alliance vows to derail plan to build more than 100,000 new homes • Schools plea for help as figures reveal a third of children in Oxfordshire are overweight The proposed development would bring a three storey building containing 16 flats to the site, plus 19 parking spaces. Marston resident Martin Smith, 52, said: “It’s all very well developing land to get more houses, I think it’s needed in Oxford, but to put it on that site just isn’t ideal. Mr Saddique said in the application to the council that work on the site was expected to start in February. PLANS for a new Shisha Bar have been put forward in Headington and there are concerns another could follow in Marston. HST Designs has submitted plans to demolish an unused garage behind the post office in London Road and replace it with a shisha bar. The area’s city councillor Roz Smith said she had no problem with the plans. She said: “It’s quite interesting and it might be popular with the students we have in the area. The site behind the London Road Post Office in Headington would be fitted with a canopy and seating area as well as sound-proof fencing according to the plans submitted to the city council. Marston residents have expressed concern that plans for a new 85-seat sheltered area at The Somerset in Marston Road – and plans for a Lebanese Café there – could mean the sale of shisha as well. Suhayl Ali, who owns the Somerset restaurant and bar in Marston, has applied for permission for the seating area which will allow people to drink and smoke outside. Mr Ali refused to comment on whether shisha would be sold. Shisha bars allow people to smoke flavoured tobacco through large pipes known as hookahs, which originated in the Middle East. John Holt, who lives in Edgeway Road, off Marston Road, said he was concerned by the possibility of a shisha bar. The Somerset was transformed into a gastropub which served cocktails in 2008 in a bid to make it more popular. It then started to serve Chinese food but has now been closed for more than a year. Jane Davidson, who lives in nearby Ferry Road, said she had also heard the seating area would turn it into a shisha bar. She said: “I am totally against it. Why would you want to ruin such a beautiful restaurant or pub that it could be? “I have lived in the area for over 20 years now and Marston is a beautiful place. City councillor for the area Mick Haines said he had not heard the new venue would sell shisha but that it would be a Lebanese Cafe. He said: “I have not heard anything about shisha – people will be able to smoke in the outside area and it might sell beer. THE site of the former Friar pub in Marston could become student flats as a seven-year saga nears its end. Plans for a three-storey building with 30 student rooms, a kitchen diner and communal garden have been submitted after Tesco pulled out of the site after a long battle with residents. The store chain bought the site in 2008 and won permission in 2011 for a new Tesco Express. The site was bought from restaurateur Clinton Pugh after he failed to develop a café and flats on the site. Residents campaigned against the new store and Tesco pulled out earlier this year. 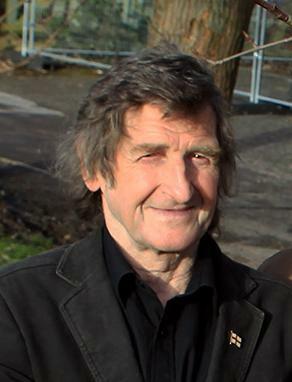 Independent city councillor for Marston Mick Haines said the plans were “a good result”. He said: “It has been a long battle and we fought hard against Tesco because it would have had an impact on our local shops. Mr Haines also said that after a meeting with architects the trees around the site and a nearby walkway would stay. It is thought medical students will move into the 30 ensuite rooms and that cars will not be allowed on site. Eric Perkins, 57, who lives in Crotch Crescent near to the site of the former pub, said he had not taken a proper look at the plans but was concerned the new use would not benefit the community. He said: “We are all obviously very pleased that a Tesco store is not going to go there. “As local residents we want to have something built that will benefit the community as the pub was at the heart of the community. Dr Susannah Wilson, of Ferry Road, said in comments on the plans: “There are a lot of concerns locally about closure of community spaces. Almost all the pubs in new Marston have now closed without being replaced. IN APRIL every property in Old Marston was supposedly issued with a letter and a form to choose which option residents preferred in trying to solve the annoyance of non-residents using our streets as a car park – Brookes University students and hospital workers being the main culprits. Legally as there are no restrictions at present these people have every right to park here. This has been going on for years and at last, with the persistence of local independent city councillor Mick Haines – pictured above – and lately parish councillor Tony Greenfield, action to resolve this problem looks promising. I am in receipt of the results of the informal consultation and I was surprised that only just under a third of residents bothered to return the form to the county council. Maybe it was the fact that there wasn’t a pre-paid envelope so residents had to return the forms at their own expense. Many of the park-and-riders use the council car park next to the Oxsrad Centre. There is a field opposite the football ground which is used by the St Giles Fair people for about one week each year. Is it an option that this field could be made into a much-needed car park for the area and alleviate the on-street parking problem during weekdays? Thirteen years after work started, a £100 million Oxford Centre for Islamic Studies could finally be opened in January. The centre – independent to Oxford University – contains an auditorium, a three-floor library, dining hall and mosque. Work began on the Marston Road building back in 2002 and it was originally expected to open just two years later. But delays in funding and problems with building work pushed the grand opening back. The centre is moving into its new home from its current premises in George Street and registrar Richard Makepeace said the move was nearly complete. He said: “We are hoping that it will be completed at the end of the year and students and others will start using the building from next term. “The building will open in stages, of course, and some parts such as the library are already operational. The former British Diplomat in Cairo said that the building’s intricate interior had held up the process. The building has benefited from a number of donors and has received gifts from several countries. The woodwork in the Malaysia Auditorium – a lecture theatre – was constructed and donated by Malaysia. The Kuwait Library, which contains a large collection of books, journals and manuscripts from a range of topics from classical works on the Koran to modern social sciences, was provided by the Kuwait Foundation of Advancement of Sciences. There are also walls of Iznik tiles – native to Turkey. Mr Makepeace said the centre should be viewed as an academic institute with a mosque rather than the other way around. He said: “It will be a Muslim institute in the same way that many colleges are Christian institutes. “The centre will be used by Muslims and non-Muslims – we want to promote scholarship of the Islamic world. City councillor for Marston Mick Haines said: “It’s a lovely building but it has taken a long time to get it open. 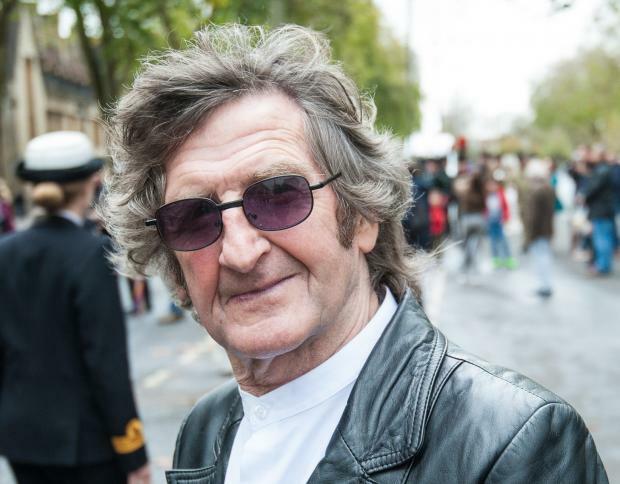 “It’s great that it will finally open soon and I know a lot of other people are very pleased the centre is there but also there were others who were against it. 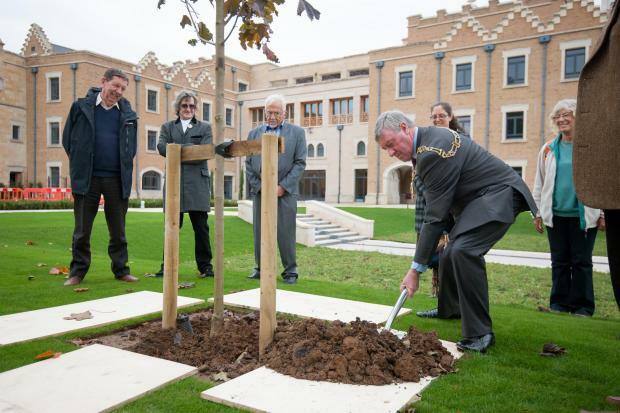 Prince Charles is a patron of the centre and helped to design the garden which was given a Royal Charter by the Queen. IN REFERENCE to the letter, “Traffic lights will improve road safety”, (September 1), I would like to comment that I have stood at the road junction by the Marsh Lane and Cherwell Drive shops many times doing my traffic surveys. I do agree that at peak times it is very busy, but at other times the traffic flows quite freely through the roundabouts. If we had traffic lights, the traffic would be continually held up even at night. My point is proved by Frideswide Square where they took out the traffic lights and replaced them with roundabouts. Look at Headington where the traffic lights regularly hold up motorists. I have spoken to several taxi drivers who spend a lot of time behind the wheel. Their opinion in this case was that roundabouts work better than traffic lights. Sorry, Mary, I’ll have to disagree on this one. Traffic lights may be the solution in some places but certainly not in Marsh Lane. I WELL remember Hazel Bleay’s campaigning for traffic lights to replace the Headley Way mini-roundabouts back in 2005 (Letters, August 27, 2015). Like Mrs Bleay, I am puzzled as to why Cllr Mick Haines has concerns about this plan. Traffic lights would provide several possible benefits for people in Marston and more widely. By regulating traffic flow more effectively, they would prevent the back-up of traffic along both Marston Road and Cherwell Drive in the evening, as they are forced to wait for heavy volumes of traffic from the John Radcliffe Hospital to turn right into Marsh Lane. Keeping traffic moving will reduce congestion and pollution for people living in Marston. I also believe that traffic lights will make the junction much safer for all road users. There have been a number of accidents there over the years, as Mrs Bleay mentions. One of the problems is that people travelling from the Cherwell Drive direction up to Headley Way frequently think that they have right of way. In doing so, they ignore the fact that they have to give way to traffic on the right entering the junction from Marston Road and turning into Headley Way. There have been a number of accidents and near-misses for this reason. The Access to Headington proposals are deeply flawed, but this is one proposal which promises improvements and deserves our support. Sir – Regarding the Headington Access Transport Plan, I had a very positive meeting with both Stewart Wilson and Martin Kraftl at Oxfordshire County Council offices at Speedwell House. I put forward the main concerns for Marston and Headley Way residents which are the loss of trees and parking bays in Cherwell Drive and a bus lane going too close to their front gardens. Also, there are concerns about removing grass verges and taking out the roundabouts at the Marsh Lane junction and replacing them with lights. Looking forward to hearing the outcome in a couple of months. WITH reference to Cllr Mick Haines’ letter published on August 21 regarding taking out the roundabouts at the junction of Marsh Lane and replacing them with traffic lights. In January 2005, I organised a petition to try to get traffic lights instead of the mini-roundabouts at the junction of Cherwell Drive and Marsh Lane. After collecting almost 600 signatures and letters from the doctors at Marston Medical Centre and two people who had been knocked down and injured, I attended a meeting of Oxfordshire County Council to hand in my petition. Living in Brookfield Crescent since 1939 until I moved to Thame in September 2005 the traffic at this junction has become horrendous. So at last after 10 years, my efforts may have been rewarded with success.